LAVERNE HALL – Target Group, Inc.
LaVerne Hall is the President of CANDO Corporation, an M/W/DBE consulting firm. 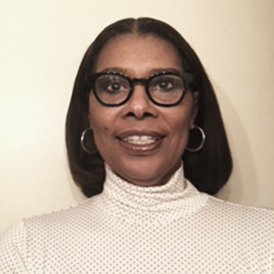 She is a results-oriented, hands on professional, with a successful record of accomplishments with government agencies and community organizations when it comes to identifying contracting opportunities for underutilized suppliers to strengthen supply chains and expand the business base of major corporations. She brings a unique understanding of government procurement processes and has helped others navigate through the bureaucracy. Experienced in leveraging the problem solving skills needed to drive the desired diversity outcomes to effectively have an impact on inclusion and profitability. Currently CANDO Corp and Target Group Inc. have partnered (McCormick Place Inclusion Consultants “MPIC”) to monitor and report contract compliance regarding the level of diversity inclusion and achievement of EEO requirements on the $400 million Metropolitan Pier & Exhibition Authority’s construction project that involves building McCormick Place’s Headquarters Marriott Hotel & Event Center. CANDO Corp also worked with Target Group Inc. in 2014, to performed compliance audits and prepared reports for the Hyatt Regency McCormick Place expansion and renovation project. The audits were conducted at 30 -60 – 90% completion of the construction and I reported findings related to the Project’s M/WBE utilization and its EEO requirements which included goals set for the inclusion of employment of area residents, Minority workers, Female workers, Employment of Illinois workers and workers being paid prevailing wages. Effectively managed and reorganized the Contract Compliance department to improve efficiencies for monitoring supplier diversity of the board approved contracts for Cook County Government and County Hospital. M/WBE participation on Cook County and Chicago Public Schools contracts as prime vendors. Analyze small business utilization data and assess current levels of compliance to determine strategy recommendations for achieving future diversity goals. Prepare compliance reports verifying the utilization of M/WBE firms on projects receiving tax incentive financing (TIF) from the City of Chicago. Created a diversity workforce report for construction projects to monitor Equal Employment Opportunity Compliance (EEOC).